Melbourne who? 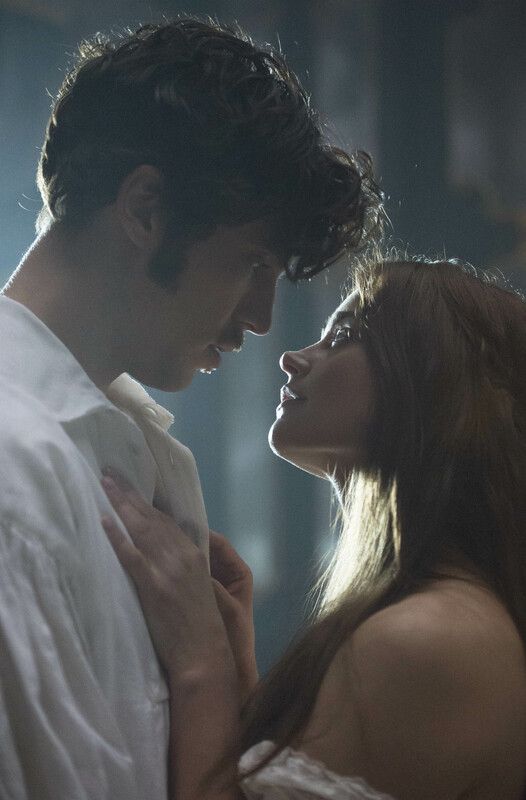 History finally catches up with Jenna Coleman’s Victoria as Albert makes his long awaited entrance into the series. The German prince is trying to leave his mark on the queen’s heart – but does the ITV drama also continue to impress? There’s no hanging around this time. In a first for the series, the episode picks up right where the last one left off. Albert has entered the palace and interrupted Victoria’s piano performance.. so what happens next? Her dog Dash strolls in and takes an instant dislike to him, of course! From these opening moments, you can feel a real sense of fun permeating throughout the episode. It’s by far the most comedy driven chapter so far and sure to raise a few smiles. We all know what’s inevitably going to happen in the story, so why not have some fun along the way! Dash gets more screen time than ever and there’s multilingual mischief with German subtitles. Best of all though is the instantly classic scene of Victoria being shown her new postage stamps. Just remember: every time you send a letter, you’re licking the queen’s face…! Another strong theme this week is music. Victoria and Albert first meet at the opening piano recital, and later come together for a duet performance of Schubert, their hands crossing over to play the keys. Even their first true moment of connection is when they are dancing the waltz together. 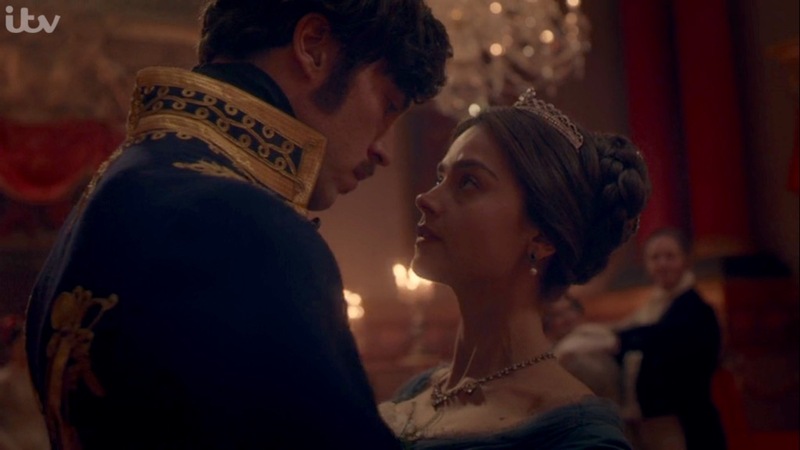 In fact, here’s some beautifully directed symmetry between Victoria and Albert throughout the episode. The shots of them looking longingly into a mirror and getting dressed for the ball are expertly shot and edited. It shows that, deep down, there are similarities between these two characters. They may not get along to start with… but as the old saying goes, opposites do attract. Naturally, this episode is all about Albert, and needless to say, he’s not easily forgotten. 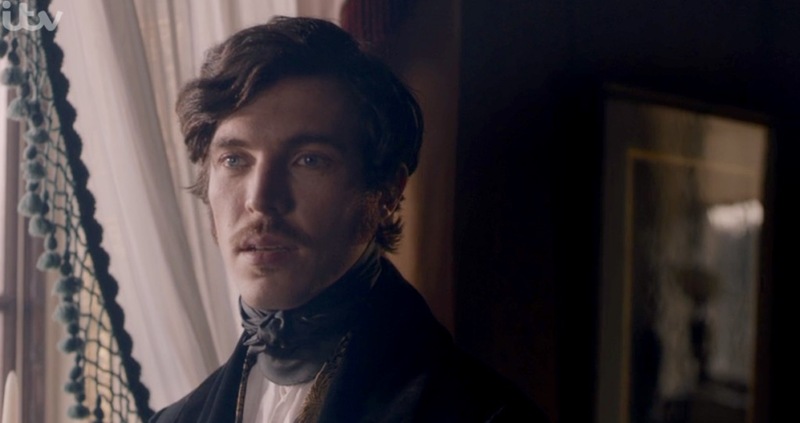 Tom Hughes is excellent in the role, more than making up for his late arrival to the party. You better believe it: now he’s here, he’s here to stay. Marking the halfway point in the series, Episode 4 very much feels like a phase of transition for the characters and the story. Lord Melbourne – and with it, the “Vicbourne” pairing we’ve grown to love – is gradually pushed to the side by Albert (quite literally, in the case of the waltz dance). Traces of the impossible romance persist – Melbourne’s “only a fool would turn you away, ma’am” is quietly heartbreaking – but it’s greatly downplayed, bar some subtle tension between Albert and Lord M.
Admittedly, though, some viewers may find that Victoria’s feelings for Albert may develop rather too suddenly. However, there’s no time limit on love, and it’s a romance convincingly told. Jenna Coleman is especially impressive, continuing to portray the young Victoria with a real nuance and charm. When she wakes up beaming with girlish delight after her waltz with Albert, it’s clear that she’s just an ordinary woman who has fallen for a handsome man. Applause should once again also go to the supporting cast, with David Oakes’ Lord Ernest a particular highlight, played with a ‘laddish’ quality that isn’t a million miles away from the bromances of today. Elsewhere, subplots from previous episodes continue to unravel, though Victoria and Albert definitely overshadow proceedings. Disappointingly, there’s very little of Eve Myles’ Mrs. Jenkins or Tommy Knight’s Brodie. The only real side story belongs to Miss Skerrett, who is suspiciously sneaking items out of the palace for a woman in the street. But, in an episode so entwined in historical truth, it seems only fair that the fiction takes a back seat. Eventually, everything comes together with the first of many moments we’ve been waiting for – Victoria’s proposal to Albert. As the episode ends, history finally clicks into place and is sealed with a kiss. Certainly, the show has had its fun toying with Victoria’s earliest days on the throne, but there’s only so long it can run from what we know. As we move into the second half of the series, Victoria and Albert prepare to set off on their marriage of inconvenience. It’s been a fascinating and captivating journey so far, and if this introduction to the German prince is any indication, we’re in for plenty more treats over the next few Sunday nights. 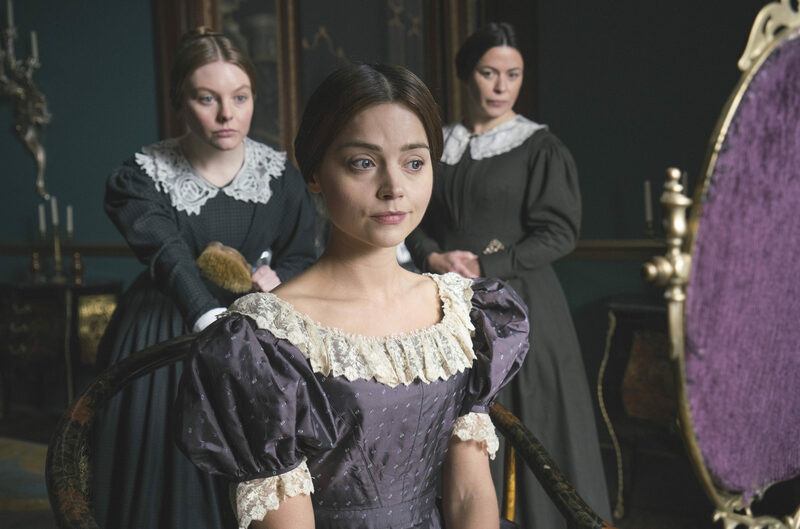 Victoria continues on Sunday 18th September at 9pm on ITV. The series premieres on Masterpiece on PBS from 15th January 2017. Do you know what Schubert’s duet is called? Thank you. I know that this is incredibly delayed, but if you were still wondering, it’s Schubert’s Rondo in D Major.